Made from strong galvanized steel with a beautifully hard wearing buttermilk powder coated finish. The perfect size for supermarket herbs. Make sure you always have the perfect herbs to hand, with this stylish set of herb pots to fit neatly on your kitchen windowsill or work surface. Sitting snugly in a handy tray, they are easy to move about the kitchen if you need to – you might perhaps want to bring them over to your worktop, for super-fresh harvesting! 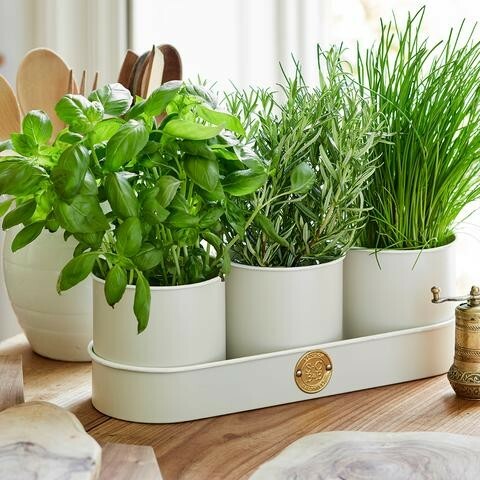 To make life simple, they are just the right size to hold the living herbs available from supermarkets. 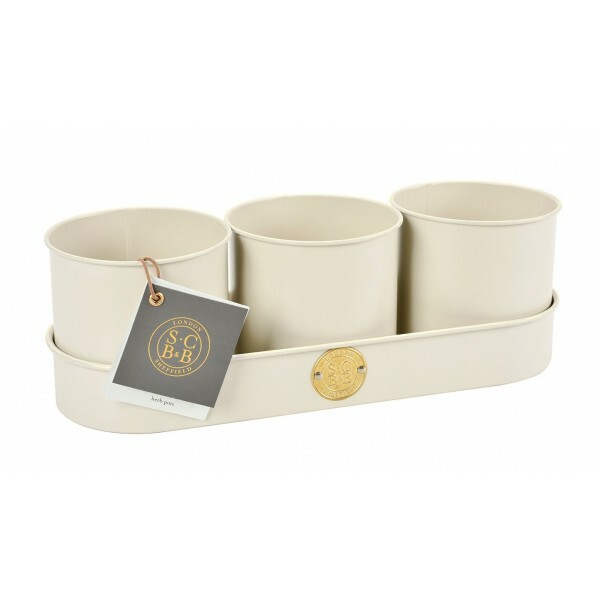 In a classic buttermilk shade with a subtle matt finish, these pots have a distinctive high quality finish, and a stylish brass seal bearing the Sophie Conran for Burgon and Ball logo adds the finishing touch. In strong galvanized steel, these beautiful herb pots set have a hardwearing powder coating to stay looking good.